The scenery alone will lower your stress and nurture your bliss. But sugar-sand beaches, verdant mountain peaks, and lush tropical gardens are just the backdrops for some of the finest spa and wellness services in the Caribbean. From authentic Ayurvedic therapies of India to the wellness arts of Thailand, Japan, Tibet, Indonesia, Mesoamerica, Scandinavia and beyond, Saint Lucia's spas blend healing traditions with state-of-the-art programs for the restoration of optimal health. Wellness journeys take place in magnificent settings that bring in mountains, sea and sky. Whatever your wellness goal, Saint Lucia is the perfect place to begin your journey of relaxation, rejuvenation and inspiration. Saint Lucia's premier spas offer a broad and eclectic range of services and treatments. Most are located on the landscaped grounds of upscale resorts along the island's Caribbean coast. The emphasis is on individual attention, which is reflected in therapies that are adapted to fit the needs of each individual patron. 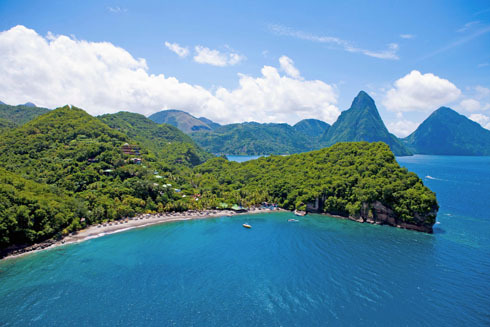 If you've ever wanted to sample a range of relaxation and healing traditions, Saint Lucia is a great place to do so. The island's premier spas are associated with upscale resorts, but most also accept patrons who are staying elsewhere. A popular option is, to begin with, a morning at the beach, followed by afternoon therapies. 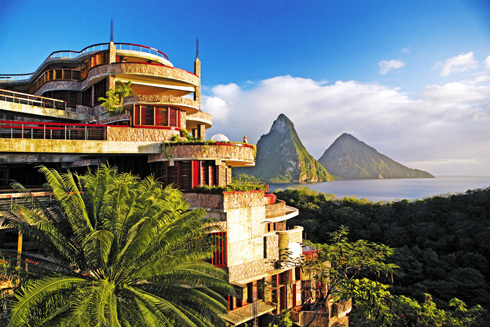 In-room treatments at Jade Mountain take place on private terraces set high above the Caribbean. At Chastanet's Kai Belté Spa, Anpagal four-hands massage employs the principles of Abhyangam healing. Ti Kaye's refreshing and rejuvenating treatments feature natural and organic ingredients from the island's virgin rainforest, lush mountain valleys and mineral-rich volcanic waters. At Body Holiday a Master Bhutanese Practitioner delivers Kora Healing through a combination of deep tissue massage, Indian stretches and Reiki energy work. Dress for comfort with soft, loose-fitting clothing that doesn't require belts or tight elastic, and choose shoes that can be slipped on and off with ease. Leave the personal electronics behind and opt for a good book if you anticipate downtime between treatments.